When: Friday, March 2, 2012. 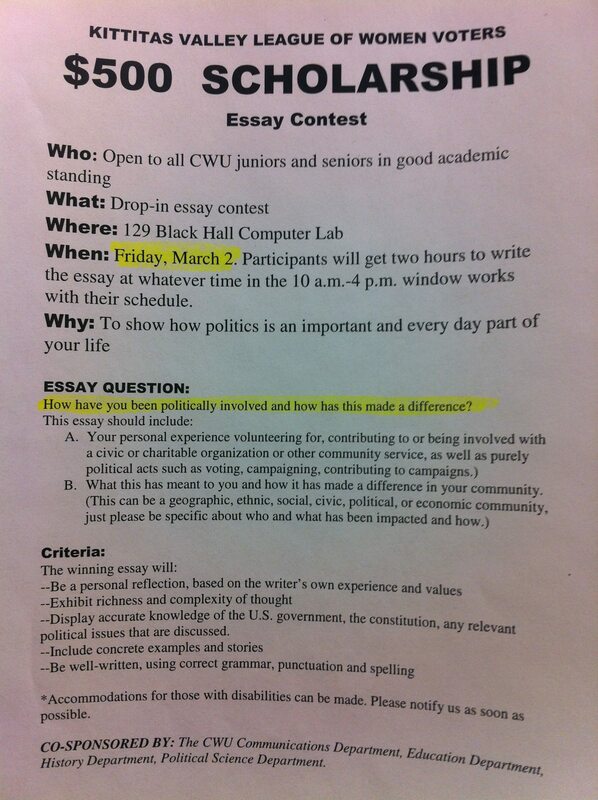 Participants will get 2 hours to write the essay at whatever time int he 10 – 4 window. Essay Question: How have you been politically involved and how has this made a difference? More info… see photo below. This entry was posted in Scholarship and Awards. Bookmark the permalink.